Outdoor and indoor spaces are available for up to 25 people. Dhaba serves authentic North Indian food and kababs from the tandoor. Offerings also include an array of curries from the "British Curry House" setting that will satisfy a variety of curry cravings. The restaurant is open late with a limited choice menu to cater to late night cravings. 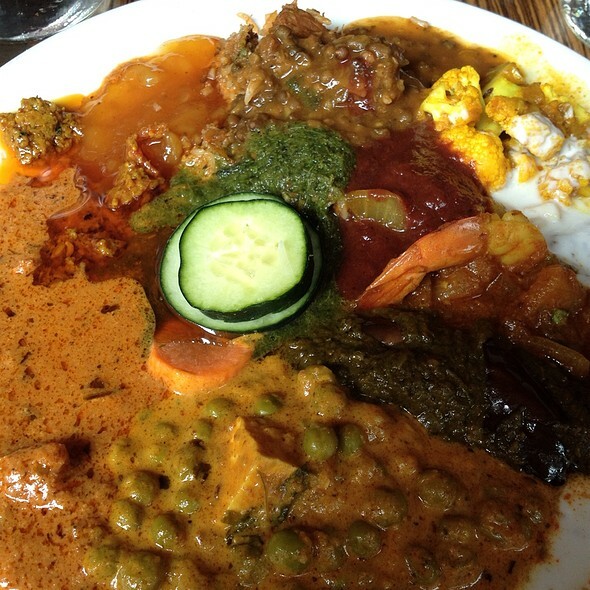 Consistently fresh and flavorful traditional Indian food. Lots of creative dishes - a step or two outside the usual fare. The mango chutneywallah curry was subtle and addictive. Naan is always one of my barometers, and they nailed it. The crispy cauliflower app was spicy and set us up perfectly for the meal. Was there for the weekend buffet. Plates and bowls were never there each time I went to take a helping of food. They kept customers waiting for it, and seemed disinclined to refill the plates and bowls. Food is average and service is poor. Definitely better Indian places around like Bukhara Grill for one. Do not recommend Dhaba to anyone. I am sorry but I heard a lot about your place from friends and family. I did not think the food was as great as they hype especially pani puri. I did love the Bhature and friendly atmosphere. I am vegetarian so I did not tried anything non-vegetarian but my fiance did enjoy the non-veg menu. That being said, it was an average experience. Thank you. Amazing good and great respectful severs and chef. Everything we had was delicious. We ordered from almost every section of the menu. Super cold night but door was Continually being opened with no one keeping it closed. Thus making the restaurant freezing. Food was good except that service was mediocre. Could benefit from more attentive service (aka getting us silverware to environment a.k.a. door closing when it is 20 degrees outside) and paying attention to customer needs. This was the most feeezing dinner environment I have ever sat through. It was like eating outdoors in 10 degree weather. We asked repeatedly for them to close the door on the coldest night of the year. I had to keep my coat on. And that hardly helped. They had one tiny space heater which was laughable. We usually like dhaba but they need to figure out heating. It was really uncomfortable and inappropriate. Further, Service was terrible and music that was partly static was blaring. Also they didn’t explain some dishes that we tried that could have used something like a rice or naan to go with it. When I asked our servers were not very helpful at suggesting what would be the best option. Instead I got blank stares. Pretty disappointed with a place we liked to say is one of our favorites in the neighborhood. OK place.. Nothing to talk about. Would not visit again. Service standards are below average. Basic etiquette missing. The food was absolutely delicious, even if a bit pricier than I typically spend at an Indian restaurant. 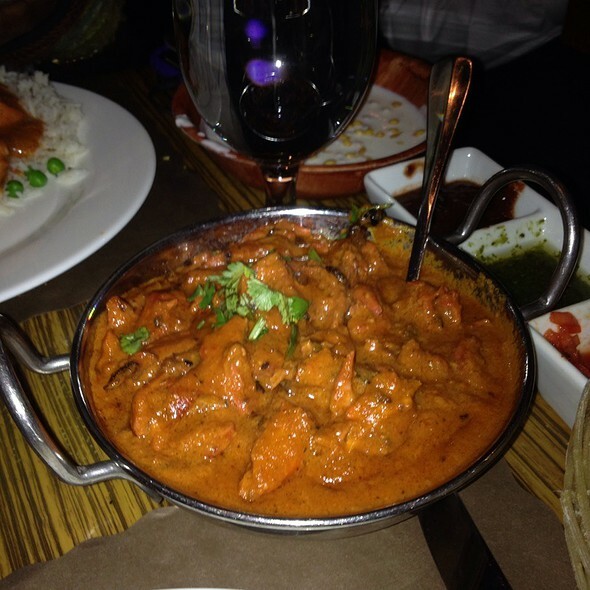 The butter chicken was AMAZING, and every sauce that I tried was perfect in its combination of spices and flavors. Expect to wait a long time for food to be served during dinner. Delicious food, good service and tons of options, maybe too many. The place is really tight and crowded so don't expect a quiet/calm scene. It's quite loud and during busy hours the food wait time is a little longer. Recommended making a reservation ahead of time. I read a few reviews and it seemed like it can be hit or miss but I did not get that impression at all. The food was excellent. We ordered a lot of food at one time and it all came out and was amazing. Chicken tikka was not dry as others had said, it was actually super tender and moist. The waiter had a very thick accent but understood our orders. Overall he was very attentive and I didn’t feel rushed at all. It got busier as we left so I recommend going on the earlier side. I wish I lived closer I’d order take out from here! Very good food; ambiance not bad for price point; friendly albeit rushed service. We planned a surprise birthday dinner with 20 guests here. The food was delicious. The place is lit so beautifully after dark. They brought out the birthday cake with the candles lit, and played birthday music. The restaurant is so intimate that the entire restaurant sang happy birthday. We were there for over 2 hours, and didn’t feel rushed. We were a very rowdy bunch in terms of volume, but they were very sweet about it. The only complaints we had was that we made individual orders, but they gave us for-the-table orders instead. 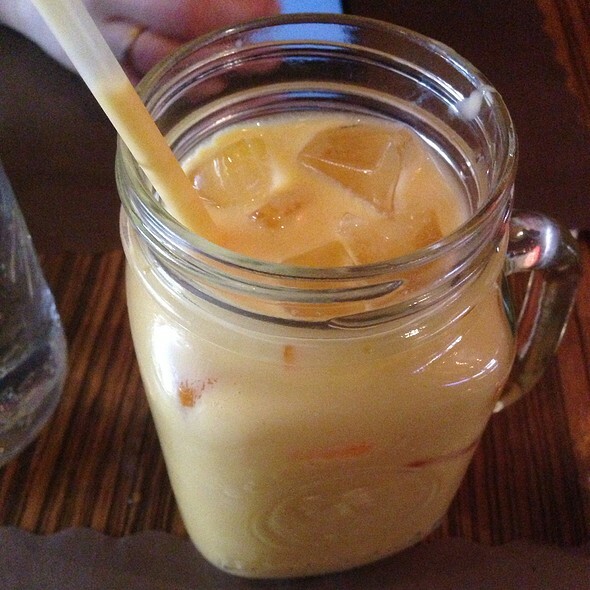 And one of our guests apparently had a funny smelling mango lassi, felt sick, and had to leave early because of it. But overall it was a very memorable experience, and we definitely would come back here! This is fabulous authentic Indian food. It is always crowded which is a great sign and a reservation is needed. It is quite noisy and a bit hard to hear what table mates are saying. I highly recommend this restaurant if you want great food. Food wasn't as good as other reviews. There are many other restaurants eith much better food. Not worth it at all. The selection of items is vast and you will not be let down. All of the food arrived quickly. The food had great seasoning and spices. Additionally the servings were very filling. The food here is always fantastic. The service isn’t as attentive as one would like. Also, depending on where your sat, it could be a little tight. Food excellent, service fair, very noisy. Go for the food! The food was inconsistent. Lamb Karma did not have much lamb flavor, tandoori chicken was dry, but the goat dish was outstanding! Breads and vegetables quite good. However, less than 75 minutes into meal, staff started clearing table and removing dishes while people still eating. Waiter aggressively asked us to leave, told we needed to be "courteous" as they had others waiting for tables. But, the reservation did not indicate a time limit and we had not been there even an hour and a half. I complained to the person who self-identified as the Captain to no avail. I do not appreciate being rushed (we did not even have chance to order dessert) and will not return. I have been visiting this restaurant for several years much before it was on the list of top Indian restaurants in the city. Anytime we visit the city and are in the mood for Indian food, we always go to Dhaba. We particularly go back for the Pahadi chicken appetizer. The way it is marinated - flavors + melt in your mouth texture of the meat has not been replicated elsewhere. The naans, curries, desserts are also always on point. On this particular occasion when we visited, while the flavors of the Pahadi chicken were similar to before, the texture was totally different so much so that both my husband and I separately noticed it and were quite disappointed. The chicken tikka masala gravy dish we ordered also tasted very different from the times before, and was very underseasoned and lacking in flavor. Overall we were quite disappointed. The restaurant staff were receptive to the feedback and were committed to try and improve our experience with the dessert. Another guest seated next to us shared that of the 2 pieces of samosas that him and his wife ordered, one was entirely cold when served at the table. Our hope is that the restaurant takes the feedback to try and restore some of their signature dishes back to the original level of taste/execution to keep their loyal customer base around. As I organize a bi-weekly Munch group (Combination of M for meeting and (l)unch) for my camera club, we were pleasantly surprised with this meal. We arrived at Noon for the buffet. We noticed east Asians which attests to the authenticity of the food. Both nan bread and onion fritters were brought to our table while we were at the serving station. The offerings were well presented, fresh, with meat and vegetarian offerings and 2 types of rice. Condiments such as mango chutney, yogurt, green sauce, and others were available near the plates. Several members of our group had an optional tea at the end of the meal along with the dessert, Gulab Jamun. All seven of our group have high praises for this restaurant and we will be coming often. The lunch buffet was decent. The presentation could use a ton of help as it looked like lunch room slop. The taste was decent. Being an Indian I am picky about my Indian food and this was ok but far from the best I have had. Very good and great value lunch buffet. 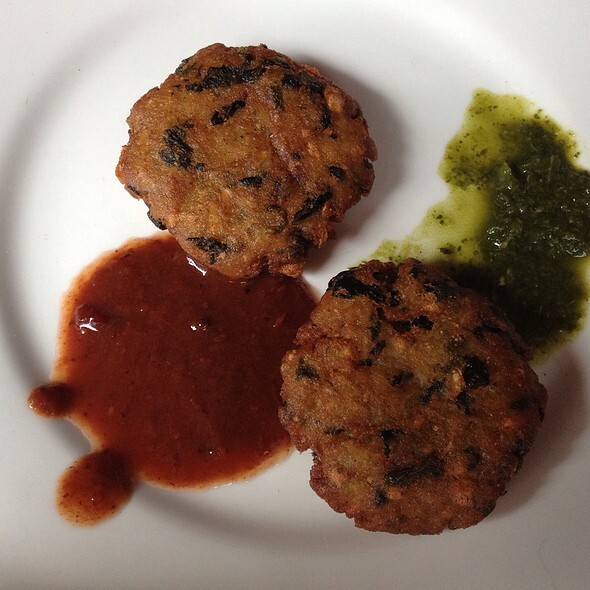 Regular menu provides more varied options of well executed Indian food. Try the fried okra even if you aren't a fan of okra and one of the many steaming casseroles. It fits well with the Curry Hill vibe - not as fancy as it's white table cloth sister restaurant Chola on East 58th Street but with the same attention to quality and with authentic dishes. Delicious food and good service. We especially enjoyed the chicken biryani and ground lamb dish! The noise level was excruciating. We would probably think twice about going back Although we thoroughly enjoyed the food. The lamb chunks in the lamb korma were overcooked and a bit dry. My friend's vegetarian meal was not quite satisfying--- the mullagatawny soup was cream based which is not the authentic version. Also her vegetarian appetizer of aloo tikka chaat tasted sour; the potato patties in that dish were ok. The Indian tea given at the end of the meal was nice and felt good since the place was rather chilly. Overall, a bit pricey for average food but perhaps other choices would be better-the menu is quite large. Gran relación beneficio costo en un sitio con mucha personalidad y gran atmósfera. Gracias! My go to Indian restaurant. Food, drinks, service are all top notch!! Excellent food. Authentic Punjabi food with dishes that can't be found in most other restaurants. Service good except maybe too prompt. Never thought I'd say service is too fast but the severs kept coming to take away plates once my friend put the last bite in his mouth before he even finished his bite. Overall good service. Bathroom needs a rehaul. The food is delicious. The menu has changed since I last visited a few years ago but same quality dishes. I was a bit disappointed in the mango margarita which I remember to have been more smooth and less icy. This used to be our go to Indian place for some curry and samosas. We haven’t been in about a year, but we’re excited to be coming back. We ordered the samosas, lamb keema appetizer, and a korma. The samosas and keema were okay, even good, but where things fell apart was the curry. One of the things I used to love about Dhaba was the curry, the complex fragrant, delicious curry to be mopped up with naan and rice. What we got was flavorless goop. I don’t think we will be coming back.